Donated by The Marin Community Foundation, The Pirkle Jones and Ruth-Marion Baruch Collection is the largest single gift in the campus’s history, with an estimated value of $32 million. 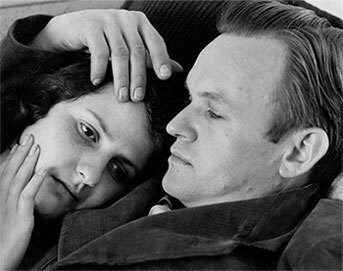 The gift comprises over 12,000 photographic prints, 25,000 negatives, and thousands of transparencies created by photographer Pirkle Jones over the course of his career, as well as prints and negatives by his wife and partner, Ruth-Marion Baruch, plus a selection of prints by such colleagues and collaborators as Dorothea Lange, Edward Weston,Ansel Adams, and Minor White. The work of Jones (1914-2009) and Baruch (1922-1997) has been exhibited at museums throughout the country, including the Museum of Modern Art in New York, the Art Institute of Chicago, the San Francisco Museum of Modern Art, the Los Angeles County Museum of Art, and the Smithsonian Institution. 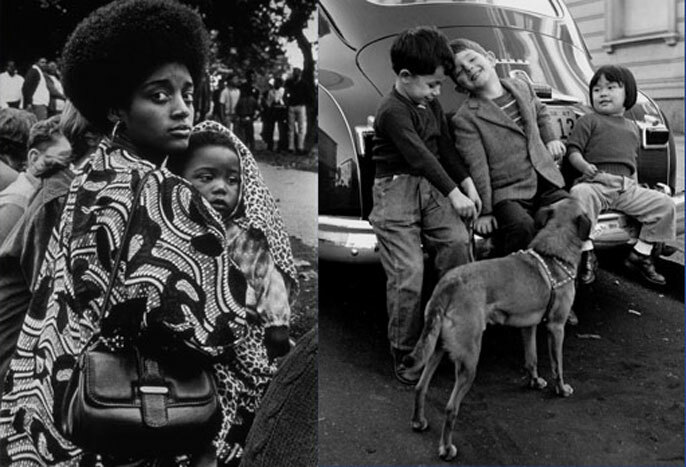 Some of their best known photographic series include Berryessa Valley (1956), Haight Ashbury (during the Summer of Love, 1967), Black Panthers (1968), and Gate Five in Sausalito (1969-765). The gift includes the transfer of all intellectual rights to their work. 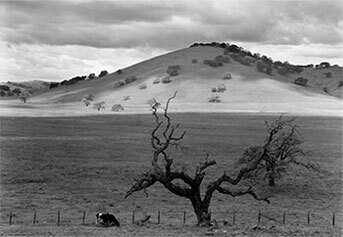 Jones became acquainted with UC Santa Cruz in 1969, when he served as a teacher at a workshop held on campus by legendary photographer Ansel Adams. An exhibition of these photographs at San Francisco’s de Young Museum in 1968 drew more than 100,000 people despite nearly being canceled due to unfavorable press. The collection will be housed in McHenry Library’s Special Collections, where it will complement a smaller Jones/Baruch archive given to UC Santa Cruz in 2003. It joins a number of other exceptional photographs already held in the Library, including works by some of the West’s most distinguished photographers such as Edward Weston, Ansel Adams, Victor Jorgensen, Erik Lauritzen, and Morley Baer. The new collection was just moved from storage in San Francisco to McHenry Library at the end of September. It filled three 24-foot trucks with more than 900 boxes of materials, as well as hundreds of framed items. Remak-Honnef noted that UC Santa Cruz has just loaned a number of prints from the collection to theOakland Museum for their upcoming Black Panther show which opens on October 8. The Library also plans to loan items to the de Young Museum in San Francisco for their upcoming Summer of Love exhibition. Note: A selection of framed photos from the The Pirkle Jones and Ruth-Marion Baruch Collection will be on display at the Founders Celebration at UC Santa Cruz on October 22.